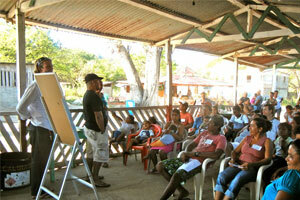 In 2006 we founded Project WOO to facilitate community-driven development in Latin American surf tourism destinations. Rooted in the notion that local people should be empowered to guide development in their community, we began working with citizens and community leaders in the village of Gigante, Nicaragua to help them shape their vision for the future. At that time, we established a goal to eventually work ourselves out of a job by equipping our local partners with the tools to drive our work forward. After evaluating our work in Gigante from 2006-2016, we concluded that we had indeed worked ourselves out of a job. As of May 2017 Project WOO closed down all programs and operations. In 2006, we created a grassroots community development model that we were not entirely sure would work. It required local buy-in, local support, and, eventually, local ownership. We built this model as an experimental alternative to the top-down, big-budget programs with broad goals across vast geographies. In contrast, Project WOO emphasized bottom-up consensus building and targeted, locally-managed initiatives to positively impact the lives of our friends and neighbors in Gigante. With both the generous support of our donor community and the sweat equity of Gigante community members, we implemented a number of successful initiatives including an English Language program, Surf Mentorship program, and a Health Education Outreach program, among others. Of these projects, there are two signature initiatives that stand out: the first public bus route in Gigante and the town’s first community health center. These two programs were identified through a series of townhall meetings and selected by local community members to address their most pressing needs. 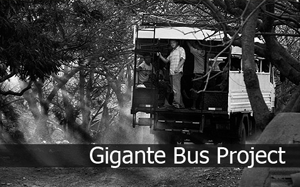 The bus project, launched in 2009, provided the first ever affordable public transportation option to the people of Gigante. One striking result was an 80% increase in high school attendance after the bus launched operations. Gigante now has over a dozen high school graduates attending university that rode this bus at one time. Today there are over 50 students attending high school daily where there were only five when we first started the transportation program! This initiative eventually paved the way for other private sector bus operators to provide reliable public transportation options to serve the community, allowing Project WOO to shift our focus to other community needs. The second cornerstone project, the Community Health Center, opened in 2014. Building on the success of the transportation project, the people of Gigante joined together in a collaborative effort to design, build and manage the town’s first primary care facility. The Project WOO team connected the health center to the Nicaraguan Ministry of Health system in order to train local staff, initiate regular doctor visits, and secure medical supplies. The plan was always to transfer ownership and management of the health center to local leadership, and throughout 2016, the Gigante Community Association (GCA) made it clear that they had the ambition to own and operate the health center as a community resource. As of April 5th, 2017, the GCA satisfied Project WOO’s requirement for the transfer by becoming a legally-registered entity. As such, Project WOO transferred the deed of trust for the building and management responsibilities of the health center to the Gigante’s elected leadership council. We wish the GCA and community of Gigante the very best of luck in the Health Center’s exciting new chapter. We always knew that true success would be measured by our ability to close the Project WOO program in Gigante and leave our work in the hands of local leaders. While we did not have a prescription to tell us when the appropriate time for that transfer would be, we made a commitment from the outset to listen to our local partners, and we understand from them that the time has come for them to assume the foremost leadership role in Gigante. While we will miss working in Gigante, we are proud of everything we achieved and forever grateful to our donor and local partners for providing the resources and support system to make it possible. We hope you share our pride in making a positive impact on the people of Gigante that will continue for years to come. The Founders of Project WOO met as Peace Corps volunteers in Honduras in 2004. Nick Mucha and Adam Monaghan both lived and worked in Honduras for over two years, where they dedicated their time to a variety of local development projects including: eco-tourism, potable water systems, strategic planning, HIV/AIDS education, empowering women’s groups, grant proposal design, and environmental education campaigns. During their service they took multiple bus trips to southern Nicaragua to surf and visit friends who owned a surf camp. 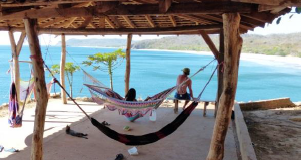 While enjoying the bountiful goodness of southern Nicaragua, they both noticed the obvious impact that surf tours, surf camps and surf culture are having on small, isolated coastal communities. Largely undisturbed by foreigners in the past, these towns are now frequently visited and inhabited by surfers from around the world. Despite the presence of Western surfers, there was no coordinated effort by surfers to give back to the local communities. Nick and Adam felt that surfers should take advantage of their unique opportunity as cultural ambassadors and as such use their resources and energy to support the very communities that embrace the visiting surfers. True believers that surf travelers should have a positive impact on the areas they visit, Nick and Adam believed they had the passion, understanding and skills necessary to change this situation. Drawing upon their rich experience as community organizers in the Peace Corps, the pair resolved to bring their vision to the towns that were being exposed to surfing and surf culture. Nick and Adam set out to show the world how surfers can be catalysts for positive, lasting change in these remote regions. In 2006 the duo officially set out to make their vision a reality when they created Project Wave of Optimism – the first organization of its kind. Project WOO’s 2011/2012 Community Census and Needs Assessment process resulted in 80% of the population prioritizing a community center focused on health as their greatest community need. This community-elected project became a reality when the construction of the Gigante Community Heatlth Center was completed and the doors opened April, 2014. It was a long road and we learned much along the way. • 3 medical brigades executed in the first year! The process is as important as the project. From the outset of the project selection, Project WOO worked hand in hand with the Gigante Health Committee to build a Community Health Center and address this core need. Project WOO worked collaboratively with the Gigante Health Committee through all the necessary steps involved with planning, building and operating a project of this scale. This approach built local leadership capacity while simultaneously moving the community closer to increased access to healthcare. The Gigante Heath Committee proved impressive leadership growth in all steps leading up to the fruition of this project, including: research, gaining government support, securing land, reviewing architectural designs, and keeping the community at-large informed on progress. According to a study conducted by MINSA (Minister of Health, Nicaragua) in 2008, the most common sicknesses found throughout rural Nicaragua, including the municipality of Tola, are gastro-intestinal and respiratory related. Health professionals maintain that these aliments are best combated with basic health education. Residents recognized that along with the construction of a health facility, the project must incorporate aspects of health education in order to address the root causes of the community health issues. We are optimistic that in 2015 the Gigante Community Health Center will continue to positively impact the community of Gigante by addressing its basic health needs. Thank you for supporting community health and education in Gigante! Project WOO is off to a great start in 2015. With the construction of an additional school building in 2014, the teachers are starting the school year with renewed enthusiasm and excitement for now they each have their own classroom. Many thanks to Surf For Life, Students from Shoulder to Shoulder, REEF Redemption, for their financial and physical contributions. Also, we’d like to thank our long-time donors Betty and Lynn Mangum, Arbol de Vida, and the Ezulwini Foundation. Without their support, it would not have been possible. Lara also directed WOO summer camp 2015. She put together an amazing program for the local children and teens with the help of our stellar WOOster volunteer team- Liz Kennedy, Finn Bradenday, Isabella Frederick, Braden Dempster, and Abby Donnelly. Huge thanks to this enthusiastic team of volunteers and a very special thanks to Jackson Avila and Jackson’s Ice Cream for providing the funding that allowed us to deliver such a solid program. Interested in donating to next year’s summer camp? Donate here. Our current WOO team will be focusing on the further development of English classes and enhancing our WOO Volunteer Immersion Program. Additionally, they are focusing their efforts on working in collaboration with local youth to build a sustainable, ongoing Youth Club that will provide a healthy outlet for youth to come together and participate in surf lessons as well as continued English classes, arts and crafts, cooking and a variety of other activities. Additionally, the WOO team will be directly involved in the coordination and facilitation of several WOO Immersion trips with groups from Old Dominion University, Athenian High School from Los Angeles, CA , and Carpe Diem Gap Year Program from Portland Oregon. Since it’s beginning, Project WOO has been supporting volunteers to run English workshops and classes at the primary school and in the community. Gigante is a growing town–especially in the tourism sector. As locals have witnessed these changes, and opening of different opportunities for employment, English has become a high priority for both adults and children. In response to this demand, and with the support of Lynn and Betty Magnum, Project WOO has more recently brought on a full time English teacher to begin the Gigante English Program. Lara started the position as Gigante’s English Teacher in July 2014. The main focus of this program is to work within the local Jose Dolores Riviera Primary School, offering 2 classes per week to each grade K-6 on Tuesdays and Thursdays. Lara offers a class for the local teachers on Mondays, increasing the sustainability of the program through their own learning and enabling them to support within the classroom. A large aspect of her work is developing an English Curriculum for Project WOO to continue using within the school. The program also includes a Youth English Club, which meets with local teens (who attend high school 18km away in Tola) once a week for English workshops and offers adult classes in the community. During summer holidays (month of January) we were able to offer a month long intensive English/Surf Summer camp for both children and teens in the local area. We are always looking for skilled and enthusiastic volunteers to help out with our English program. Please get in touch if you are interested in learning more. According to WOO’s first community census and needs assessment, executed in 2007, the population of Gigante prioritized two goals: school transportation program and education assistance at the local elementary school. Partnering up with Padre Fabretto, another education-based non-profit and longtime WOO supporter, WOO began the Gigante Education Program. Since 2008, WOO has been able to secure the on-going financial support for additional elementary school teachers to meet the population boom. It began with WOO and Padre Fabretto hiring and training three elementary school teachers, and now WOO currently employs four of the six teachers in Gigante II. All this incredible support is thanks to WOO’s very committed and generous donor base. Since 2007, school enrollment has risen year-to-year as the population grows. 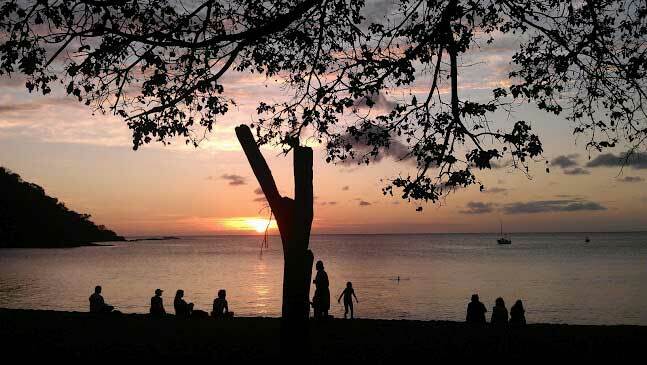 The population continues to grow due to consistent employment opportunities as tourism booms in the Tola area. Project WOO feels fortunate to directly tackle this issue by leveraging tourism-based resources and addressing community development challenges. Education is the cornerstone for all community development and this is where Project WOO’s roots were set. WOO currently has several education program initiatives including an English Program, Summer Camp, Garden Programs, and much more. On July 17th, 2007, in an open town meeting, the people of Gigante voted on the first ever Project WOO facilitated, community development initiative: The School Transportation Program. From that moment on, Project WOO marshaled resources, engaged local leaders, and worked tirelessly to bring public transportation to Gigante. On April 9th, 2009, Project WOO launched the much-anticipated local bus route, providing reliable access to high school education to the youth of the entire community. Since the bus’s inception, the community of Gigante has seen an 81% increase in active high school students. Now that there is affordable and accessible school transport, not only did it directly impact the number of students receiving advanced education, it changed the culture of education in Gigante. The School Transportation Program remains one of WOO’s flagship initatives. Through community engagement and fostering proper leadership, WOO was able to successfully facilitate the execution of this much needed project. To date you can see this weathered vehicle bouncing around town, completing its daily route, transporting students to high school. The Project WOO Surf Mentorship Program was born back when WOO was first established. There is no question that the local youth will always emulate the new local trends that pass through their community. This is exactly what happens in growing coastal surf towns and exactly the reason for the Surf Mentorship Program. As Surfers and as a core tenant to the Project WOO philosophy, we have the responsibility to ensure our impact is positive in the remote corners of the earth we travel in search of surf. Community Surf Days: a time for the entire community to give surfing a try as well as spend time together at the beach engaging in other sport or creative activities. Young People’s Earn-A-Board Program: through donated time and effort towards a community project, young people can earn their own surfboard. Girls Surf Club: a new initiative to increase the accessibility of surfing to the young women of Gigante. Project WOO strongly believes that by establishing civic-based incentives to access these surfboards, the local youth foster community leadership skills that directly and positively impact the community at large for years to come. We have engaged some of our young surfers to start leading lessons at our Girls Surf Club and English/Surf Summer Camp. Through donating their time and effort the surfers can earn surf items (wax, fins, leashes, etc). We are so excited about this development! Not only are the young people demonstrating leadership skills and positive role modeling for their peers, but they are also getting valuable experience in teaching as well as creating a more self sustaining Surf Club. Our Earn-A-Board Program continues to be popular with both existing and new surfers. Young people are supported to make and complete a contract of volunteer work with a WOO representative. This opportunity not only gives them access to a healthy and fun activity, but also helps to develop life skills, responsibility and respect for community work. Some areas of work have been: construction work on the new school building, planning and delivering English Classes, environment management, and more. Maria Teresa and Sarahis worked with us everyday of Summer Camp as Youth Leaders, as part of an Earn-A-Board contract. They attended all of the weekly planning and evaluation sessions (including prepping a list of activities and games they wanted to do with the youngers); they led activities (and songs!) for groups of 20-30 kids; and they got their crayons out to jazz up our English materials. We also saw several un-nominated youth leaders emerge during the month of January. Michael and Ale, two of the local teen surfers, showed up throughout January to give us a hand teaching the younger kids to surf. 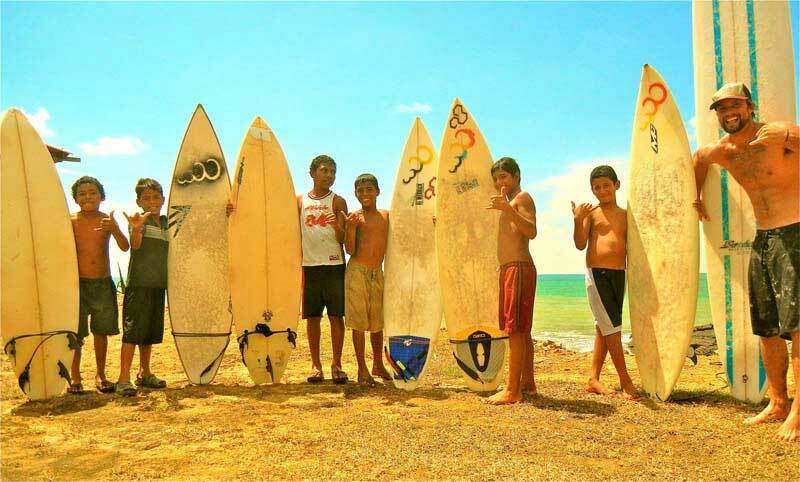 This gave them an opportunity to be positive role models for their younger peers; be proud of and pass on a personal skill; as well as give them a taste and experience in a possible business teaching surf. Juan and Yusselia, two local teens, also started to come along to the youngers summer camp to help us facilitate art activities and organize kids. We had several kids that were new to Gigante who attended our summer camp (as they were staying with family here during the summer holidays). It was exciting to be able to facilitate their integration and watch them make new friends in the community. We had record numbers attending Summer Camp this year, which we felt indicated two things: 1) that it was both engaging and fun for the kids; and 2) that the community trusted and saw value in the activities that we were doing with their children. 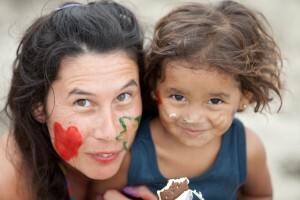 Informal education or outside school activities are not the norm in Gigante. It was exciting to be able to provide a creative and positive learning environment that the local community respected and wanted their children to be a part of. 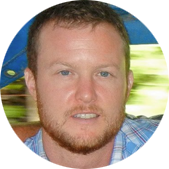 Adam Monaghan is the Co-Founder of Project WOO and now serves as an advisor. He launched Project WOO’s field operations in Nicaragua in 2006 and completed the pilot transportation project before returning to the U.S. in 2009. Adam earned a Bachelor’s Degree in theology from Boston College in 2003 and a Master’s in urban planning from UCLA in 2014. During his diverse career, Adam has served as a Peace Corps Volunteer in Honduras, managed multi-million dollar international development projects for USAID in Latin America and Afghanistan, and currently works to develop and build affordable housing in California. He and his wife reside in Los Angeles where they enjoy all the fun SoCal things like surfing, hiking, and yoga. Nick Mucha is the Co-Founder of Project Wave of Optimism, and now serves as an advisor. He earned a Bachelor’s Degree in political science at the University of California, Santa Barbara in 2002. After working in sales for a year and a half, he joined the Peace Corps where he served as a Municipal Development volunteer in rural Honduras from 2004-2006. He focused on a variety of projects ranging among locally-led tourism initiatives, women’s empowerment groups, and alternative education projects. 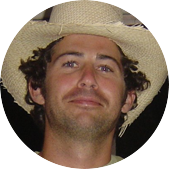 He now serves as the Environmental and Program Director for Save The Waves Coalition. 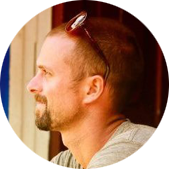 Bo moved to Nicaragua in 2011 to take the lead on all Project WOO development initiatives. Bo executed WOO’s second community census, needs assessment, and project selection process, resulting in the identification of the Gigante Community Health Center project. After three years as Program Director, Bo took the reins as the Executive Director in 2013. Committed to community development and in love with Gigante, Bo fills his day connecting with the local community and enjoying the majestic Pacific Ocean. Trent Gordon joined Project WOO in 2009 as the Director of Business Development. On a last-minute fly fishing trip to Chile, he fell in love with Latin culture and has since spent over a year off-and-on exploring Central and South America. Trent has a diverse background spanning investment banking, private equity, strategy, and business development. 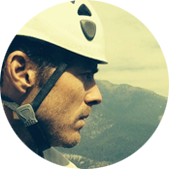 An avid skier, surfer, rock climber, and winemaker, Trent is focused on building financial support for Project WOO’s work in Latin America.